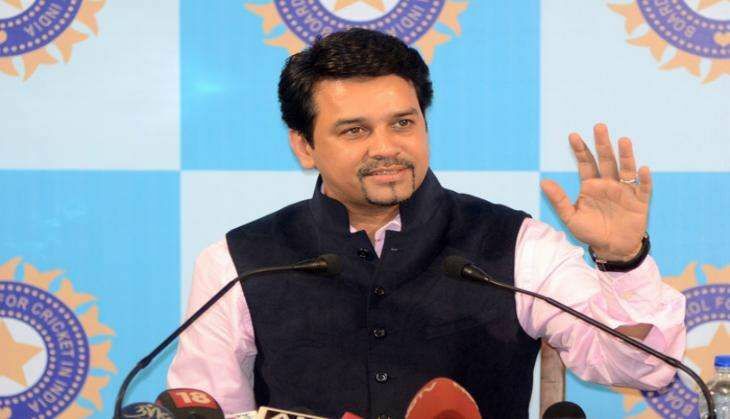 BCCI President Anurag Thakur justified their rejection of some of the major recommendations of Supreme Court-appointed Lodha Committee, saying that "it is upto the members of the Board to accept or reject them". Thakur said after a lengthy Special General Body Meeting here that "many significant recommendations of Lodha Committee were accepted by BCCI members" but those which the members felt there would be legal challenges or practical difficulties have not been accepted. Asked about the likely censure from Supreme Court which had directed it to implement the Lodha recommendations in toto, Thakur said, "If you look at the overall structure, it is the members who formed the Board. As far as Anurag Thakur and Ajay Shirke is concerned we were there to convene the meeting and it is upto the members of the Board to accept or reject (the recommendations). "We have invited the members to adopt the Lodha Committee recommendations and the members have given their viewpoints and what they feel of the recommendations. "A detailed report will be submitted to the Supreme Court and will be sent to Lodha Committee also what the members felt and why they have accepted (some recommendations) and not accepted (some other)," he added. Thakur said that the Board have accepted many important recommendations of the Lodha Committee. "Many significant recommendations have been accepted. For example, we have accepted the induction of a representative of the CAG, formation of a players' body, women's body, for differently-abled players. "There was recommendation of giving voting right to associate members and we have accepted that. Many things have been accepted with an open mind. If you look at last 18 months there were many reforms taken up by BCCI like appointment of junior and senior teams, Rahul Dravid and Anil Kumble, appointment of selectors, CEO, CFO and various other reforms in the last 18 months. "BCCI has always been open on the reforms and we believe in transparency, accountability and professionalism and we said this on day one and we have done that in last in 18 months." Thakur said members of all the states took part in the meeting. Vidarbha Cricket Association sought leave of absence and it was granted. "After lengthy and elaborate deliberation by the members, a lot many important recommendations of Lodha Committee were accepted and those recommendations which members felt will not be able to implement were not accepted after giving suggestions," he said.